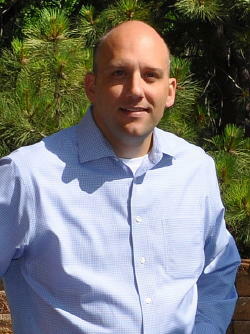 Our speaker this month is Jason Slowinski, City of Golden’s new City Manager. Slowinski will share stories and tales from his career as a city manager and provide an inside look into some of the more unusual and difficult circumstances and decisions presented to a city manager. Slowinski also will discuss the history of the city manager form of government, how a typical day in the life of a city manager looks, and reasons for pursuing the profession. Slowinski was appointed as City Manager in September 2015, and he is the 9th person to hold the position in the history of City of Golden. Slowinski lives in Golden with his wife, Stephanie, and two school-aged daughters. Immediately prior to joining the City of Golden, Slowinski served as Village Manager for Lake Zurich, Illinois and Assistant/Acting City Manager for Des Plaines, Illinois. Slowinski is recognized as a Credentialed Manager by the International City and County Management Association. He earned a Bachelor’s degree in Business Administration from the University of Wisconsin-Milwaukee and a law degree from The John Marshall School of Law in Chicago. He also has completed graduate studies in public administration at Northern Illinois University. Next Next post: #28 Dr. Jeffrey Bennett, University of Colorado Boulder: An Intuitive Introduction to Einstein’s Theory of Relativity and its 100th Anniversary.